So it’s almost Christmas and I thought I had better fill out another update especially as you should have all received Christmas cards and letters telling you about this blog and yet, I’ve not updated it for a while. Kirsten continues to grow quickly, and many of you are receiving the monthly photos. If you’re not, and you want to see them email me and let me know. Kirsten has worked out how to clap in the last few days. OK, well it certainly looks like she’s trying to clap and she gets really excited. We expect that she’s likely to work out how to crawl in the coming weeks and she can sit up for a minute or two at a time with very little help from us. At the end of November we received a couple of guests from Norway for a couple of days – Anne and Margrethe. Anne is Sigrid’s mother’s best friend who lives in Oslo and Margrethe is her daughter. This was their first trip to us including Margrethe’s first trip to the USA. We hope they’ll come and visit us again now that they’ve realised how much there is to see and do in Arizona Kirsten with Anne and Margrethe. John’s parents arrived last Thursday and this is their first time of meeting Kirsten. They are actually fighting over who gets to hold her. I keep pointing out they’ve got another 2 weeks yet, but I think they want to make sure that they have plenty of “time in the bank” so to speak. 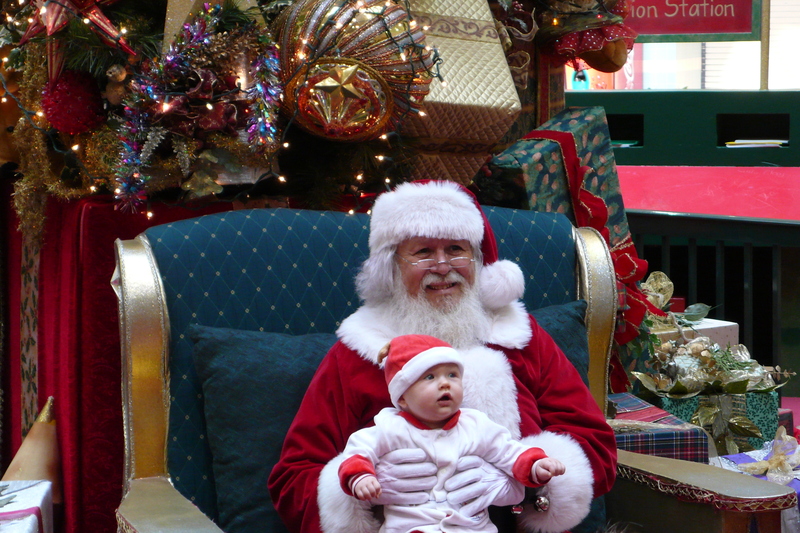 We took Kirsten to meet Santa last Friday. We weren’t sure how she would hold up meeting the man in the red suit, but she did great – perhaps it was the audience Kirsten with Santa. You are currently browsing the John and Sigrid's blog blog archives for December, 2007.